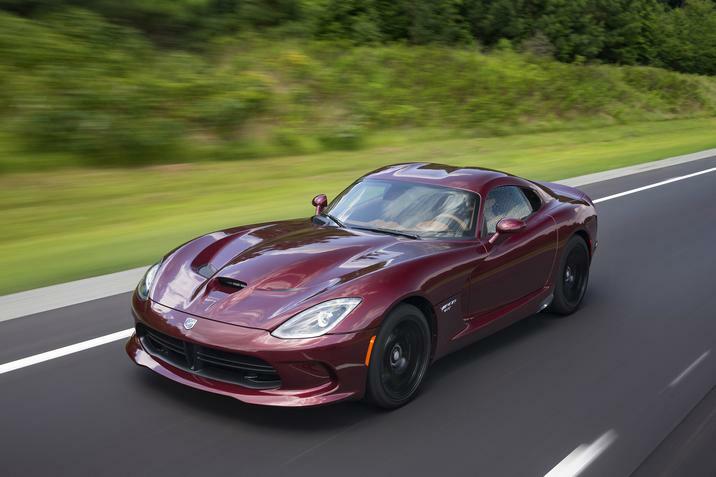 The Dodge Viper’s days — in its current configuration at least — are numbered. In a world where manufacturers are doing whatever they can to reach 54.5 miles per gallon by 2025, there’s no place for a 645hp, 10-cylinder behemoth like this. But we should consider ourselves lucky we had the chance to see it while we could. It’s hard to talk about the Dodge Viper without discussing the history that got it here in the first place. It is an “American car” in the purest sense of those words. It’s not just a car that happens to be sold by a car company headquartered in America, but put together out of parts built all over the world. Every year, it ends up in the top 10 of “most American cars,” because it’s hand-crafted here, mostly by a small number of craftsmen and suppliers that put the cars together by order. Ours was put together by “Sneaky Pete,” as evidenced by the plaque on the dash. 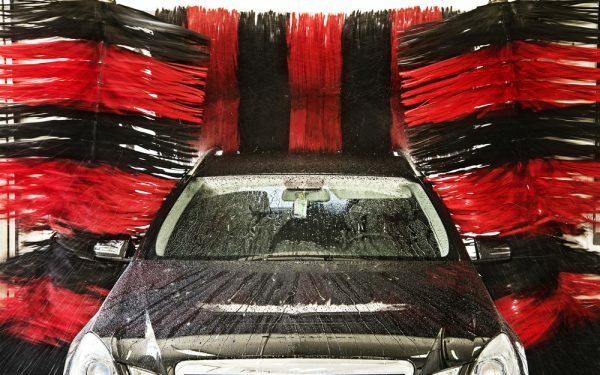 The car was a crazy idea in 1988, when Chrysler was at one of the lowest ebbs in its continuously rocky history. In 1988, Chrysler wasn’t nearly done building K-Cars. It still had rear-drive, full-size arks like the Dodge Diplomat and the Chrysler Fifth Avenue. But it also had Bob Lutz, and it had Tom Gale at Chrysler Design. Lutz, the Swiss-born, Marine pilot, shoot-from-the-hip, good guy executive, who would later become the Chairman of General Motors, wanted a modern-day Cobra. He’d been enamored with Carroll Shelby long enough, and involved Shelby in the initial prototypes, though the car that Dodge built wouldn’t have much to do with Shelby’s original designs. The car initially arrived in 1992, and it’s been through three different generations (four, if you count the Phase II cars released in 2008 as a “generation”). The current generation, the VX Viper, showed up in 2010 at the NADA conference in Orlando, and officially went on sale in 2013. Throughout the revisions, the Viper has remained completely true to the original concept that Lutz and Gale worked out in 1988. It’s not a Corvette. Corvettes are capable of being brutally fast, but at the same time, Corvettes can be sedate and pleasant. 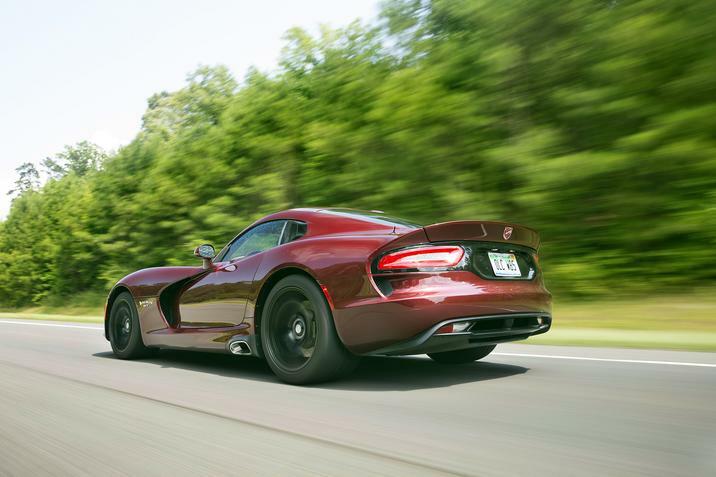 Nobody ever called a Viper “pleasant.” It is a car that brooks no ineptitude. Lose focus for a second, and if you’re lucky, you’re waiting for a wrecker to arrive while standing next to a Viper-shaped hole in the bushes. It’s not a Hellcat, either. Last summer, we had a chance to sample the Dodge Challenger SRT Hellcat, with 707 supercharged horsepower. Internet test-drivers were abuzz about how lethal and “undriveable” the Hellcat was in a normal commute. That’s completely untrue. The Hellcat is capable of being driven like your mom’s Camry. The Viper, on the other hand, is not. Even on warmed tires, the Viper will swap ends in an instant. The mandatory traction and stability control has the capability of cutting power when it happens, but it’s disarmingly abrupt. All you know is that the throttle was cut, and you’re now on your way to being sideways. We crested a hill on Route 9 in Natick and got on the gas and at 65 miles an hour, and nearly boiled the tires right off the rims. It’s definitely not a Jaguar F-Type, though you’ll do the same Pilates to get yourself inside it. Once you’re in there, the F-Type is comfortable and completely modern. The Viper is neither. The seats are hard racing buckets no matter what they’re covered in. The console is a giant rectangular bulkhead that cuts you off from your passenger like the command center in a Hummer H1. 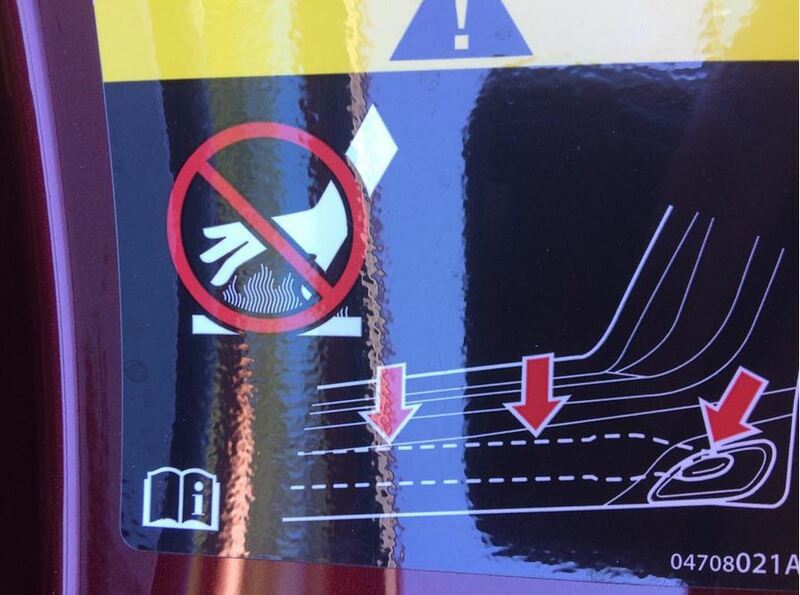 The exhaust howls at your left ear, and there’s a warning sticker to keep you from frying your leg on the sidepipes. It’s as anachronistic as a car can get in 2015. In an era when you can’t buy a Lamborghini with a manual transmission, you can’t buy a Viper with anything other than the industrial Tremec six-speed manual, with a shift knob on the end the size of an eight-ball. 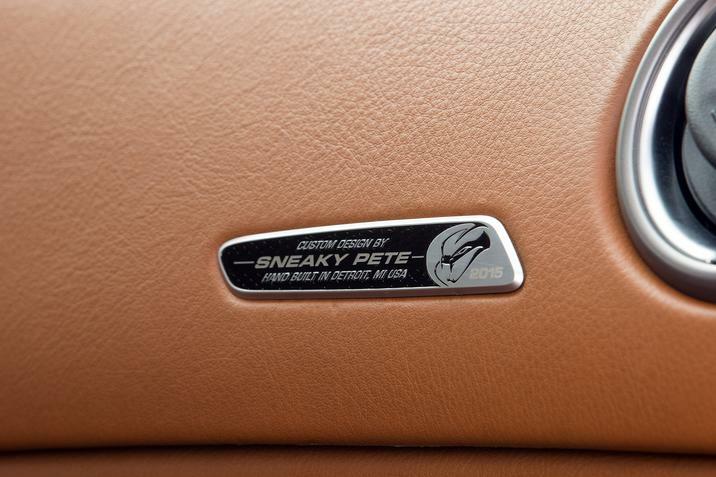 Dodge is making a big deal over the hand-crafted nature of these cars. They’re all essentially “one-of-one”. The car we drove was maroon with an Italianate, tan quilted leather interior, but you can literally order these cars in one of 50 million configurations, so you’re not limited by a handful of colors or interior materials. Did I like it? I loved it. At a time when technology is on the verge of stealing every bit of driving pleasure away from us, it’s heartening to know that a car exists completely almost untethered from it. It’s interesting to note that during FCA’s 8.4-inch Uconnect hacking fiasco last summer, the Viper was one of the vehicles on the list. It almost made it unscathed. The biggest argument against it is the price. When you can buy Corvette or a Hellcat for $60K, $112,000 seems wildly out of range. But then again, those cars aren’t Vipers. If you wanted an analogy for the Viper, you wouldn’t have to look much further than the terrific 1976 Don Siegel film The Shootist. It was John Wayne’s last movie, playing a gunfighter facing an undignified death, but standing up to one last showdown. It’s a car out of time. It’s going to be interesting to see what the future holds, and how the next Viper fares in the face of advancing technology. 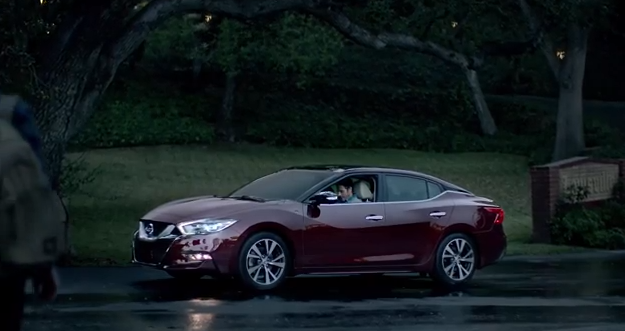 2015 Super Bowl Car Ads: Which is Your Favorite?